Welcome to the Watterson Family Leyland Cypress Page! NY - Long Island special-10' Leylands 100$ each(80 to a load). Spring 2009 Prices for B&B planted is $300 for a 10 foot tree, delivered, planted and staked. Leylands shopuld be spaced 8' in single file row, 4' with the zig zag pattern. 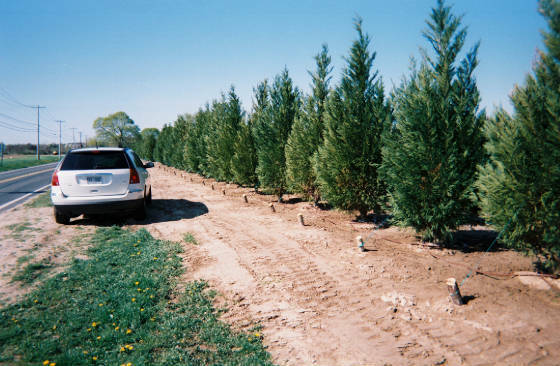 Leyland Cypress are hearty through zone6, we happy customers in RI and CT from several years ago. GREAT quality Leyland cypress, Thuja Green Giant, Crape Myrtle, Hollies, Maples, Yoshino and Kwanza Cherry, Dogwood, etc. 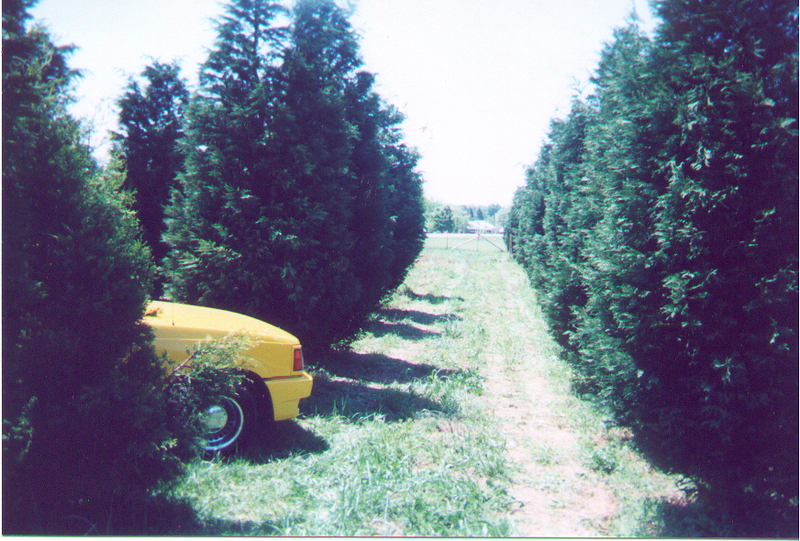 Most trees come from NC, but from our GA location, we have pre-dug decidious trees that we can ship all year. Call 240-498-8054 evenings and weekends thru July 1, I can answer questions and process your order 2,500$ min order. We plant lots of Leylands in the DC area, especially Northern VA and Shenandoah valley VA area. We SHIP to all locations between RI to East TX(CT,RI,NY,NJ,PA,MD,VA,WV,NC,SC,TN,GA,KY,MS,LA,AR,TX).